Rialto is one of the most lively areas for nightlife in Venice. 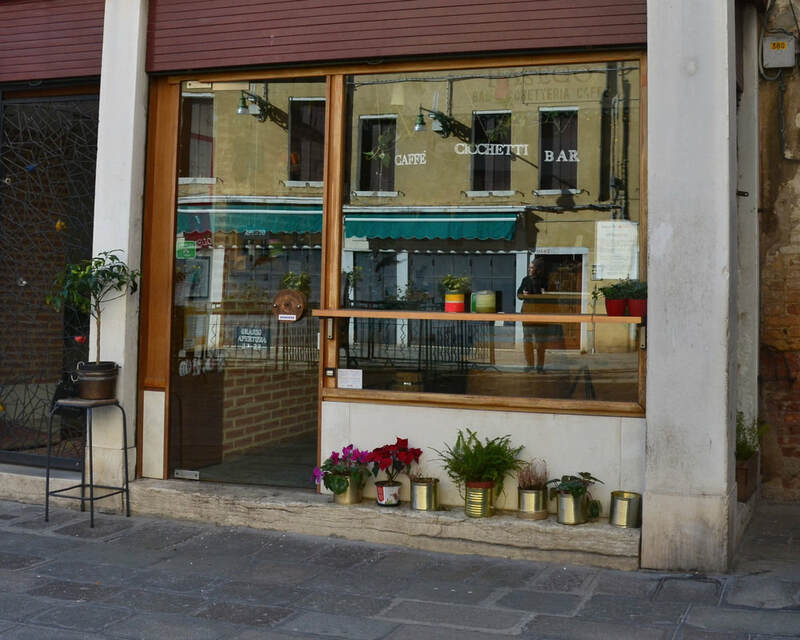 Just at the foot of the bridge, Campo San Giacomo di Rialto is lined with bars and osterias. On the canal side, they serve meals and drinks to patrons at tables by the Grand Canal, on the Campo side, locals meet for an evening spritz or glass of wine. Naranzaria, Ancora and Bancogiro are all neighbors on the square and all popular stops. But, that is just at the foot of the Rialto bridge! Scroll down to find a couple more favorites that are just a few moments walk away. 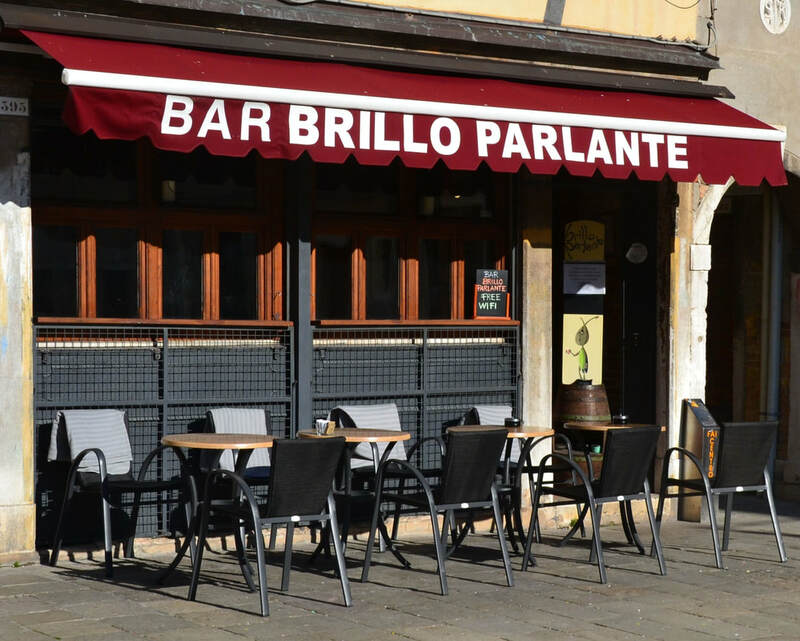 Brillo Parlante (The Chirping Cricket), is an exceptionally relaxed and friendly bar and snack bar located in the exceptionally quiet and beautiful Campo San Stin. Enjoying one of their house salads, or just sipping a coffee of spritz here, you will feel immersed in Venetian calm, though Campo San Stin is actually less than a minute's walk from the bustling Campo dei Frari. Brillo draws the neighborhood crowd of families and professionals who work in the area and is busiest at lunch and during the hours just after school, when parents bring their kids to play in the square. "A place to meet friends and build relationships. Our goal is to make our location the most comfortable." That's the mission statement of Basego and we think they've nailed it! Basego Cicchetteria & Wine bar in Campo San Toma is an updated, bright and refreshing bacaro primarily decorated with herbs and flowers. Here are served not only the usual spritz, but also a fine selection of wines and cicchetti prepared with organic produce from the Venetian island of Sant'Erasmo. The daytime attitude is relaxed and somewhat intellectual; If you're looking for a calm place to enjoy a drink while leafing through a book, you'll be comfortable here. In the evenings, it can become a bit crowded, but the atmosphere remains warm and welcoming. Al Merca, 215 San Polo, In Campo Batisti. 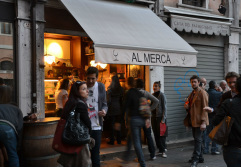 Al Merca seems to be the one place in Venice that everyone, tourists and locals alike, agree upon. We all love it. Why? Maybe it's the combination of the community atmosphere in the Erbaria with their uncomplicated food and generous drinks? The freedom to wander in the campo with your drink and mingle with other guests? The consistently charming service they offer from behind their tiny bar? Whatever it is, Al Merca is a popular gathering place in both the early afternoon and the evenings. It may seem as though everyone gathered here knows each other, but that's just because Venice is a small town and Merca is absolutely a local favorite. Vineria all'Amarone, San Polo 1131, Between Campo San Silvestro and Campo Sant' Aponal. 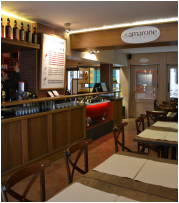 Vineria all' Amarone is a new wine bar by the original owner of Bacaro Jazz. With a completely fresh and relaxed vibe, this place is as the owner explained to me, "built around the wine." And what wine! The entire collection is sommelier-selected, mostly regional, wines. For accompaniment, there are simple yet sumptuous cicchetti. And now, for the best part: The prices here are almost the same as at every "spritzeria" around Rialto. Priceless! But wait, there's more! Vineria all'Amarone also has a secret stash wine cellar / tasting room just around the corner. If you sample something you just love, you can pick up a bottle to bring home! You can check out their menu and wine list on their website.